You’ve seen the pictures. They pop up into your news feed when friends are on vacation and jump from the glossy pages of travel magazines while you wait at the orthodontist in February. Whatever this place is, you think, I want to go there. A long swath of powder-white sand joins with ultramarine water stretching to the horizon. Lounge chairs accessorized with brightly colored parasols decorate a seemingly endless beach. 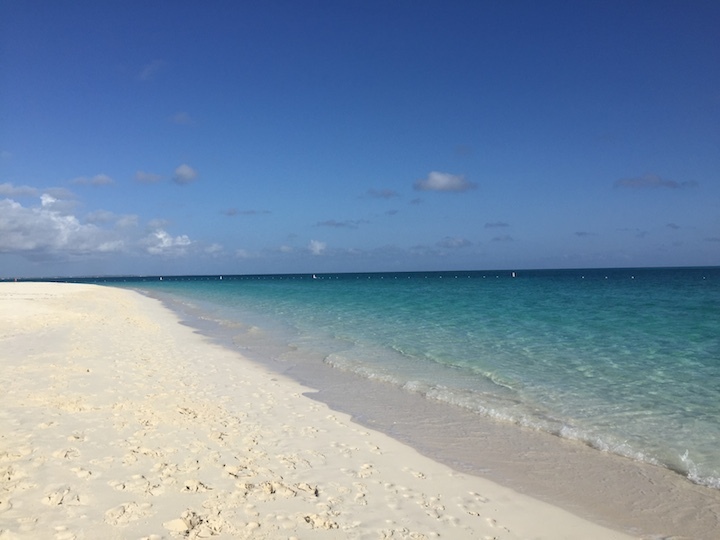 The images are of the Turks and Caicos Islands—more specifically of Grace Bay, on Providenciales—the beach that has been consistently voted the best in the world over the past several years. 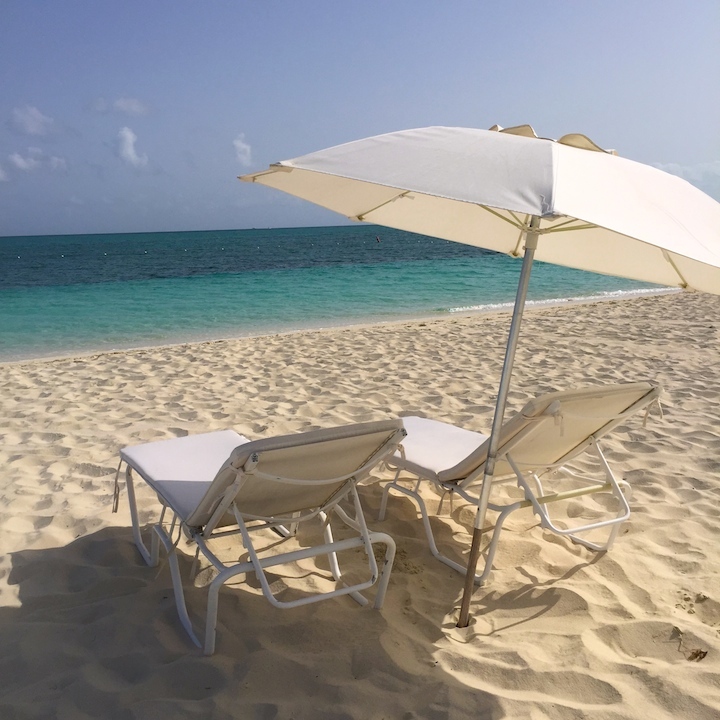 The motto of the Turks and Caicos Islands is Beautiful by Nature, and the West Bay Club, a luxury boutique property on Providenciales–Provo to the locals–embodies that spirit to perfection. 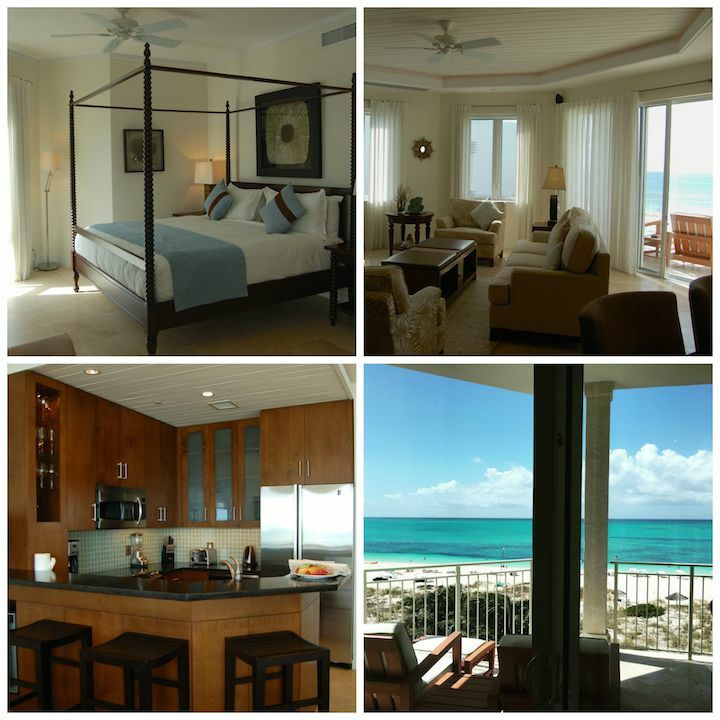 Part of the renowned Grace Bay Resorts, the West Bay Club is home to 46 elegant suites and a laid-back, welcoming vibe that invites you to relax and unwind the moment you arrive. Whitewashed walls and a cascade of fuchsia bougainvillea, along with cool, perfumed washcloths and icy tropical beverages greet you when you step up to the open-air lobby. My daughter was delighted by her fancy pineapple mocktail and I was equally so with the adult version. The entire resort is seamlessly connected to the outdoors—palm trees and blue skies frame the reception area, restaurant and bar, and expansive pool and lanai—and I loved the resonant feeling of Caribbean calm. A quick stroll through an arched passageway leads to a lush lawn and the boardwalk to the beach. And oh, that beach. The link between guests and nature continues in the resort’s oceanfront family suites—all of which boast truly spectacular views of Grace Bay below. Additionally, the resort offers garden view studios, which can be booked on their own or in conjunction with a suite, giving families even more space. This allows the resort to create a variety of room configurations from cozy rooms for two people to grand, four-bedroom villas. 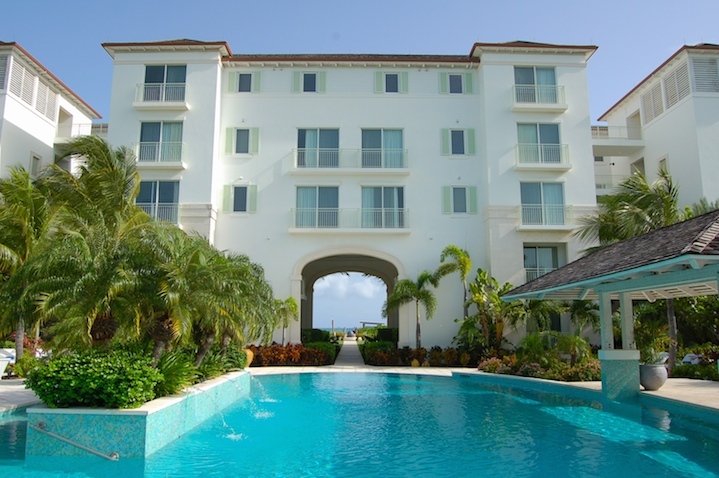 West Bay Club does an excellent job of creating accommodations that are ideal for families. Our one-bedroom suite was bright, airy, and incredibly spacious featuring a large, open-plan living room, dining room, and kitchen complete with seating for six and a comfortable breakfast bar. As an added courtesy, the resort will provision your kitchen for you with prior arrangement, which is a great way to save some money on food expenses. The living room was home to a queen sleeper sofa and offered ample space for a rollaway bed—a big plus for families of five. A sweeping expanse of Grace Bay was visible no matter where you stood thanks to an entire wall of sliding glass doors that faced the beach. A huge, comfortably furnished balcony completed the picture-perfect setting. The large master bedroom held a beautifully appointed king-sized four-poster bed, an enormous spa-style bathroom, and abundant storage. Finally, an additional half-bath with washer and dryer and extra storage provides families with all of the comforts of home. As it is a boutique property, guests can expect a more intimate dining experience at West Bay Club. The Noodle Bar and Kitchen is the resort’s onsite restaurant and offers a full breakfast buffet each morning (included in your room rate), an a la carte menu for lunch and dinner. The resort also hosts themed dining nights throughout the week—often with live music by the pool or on the beach. The weekly Caribbean Beach Barbecue is especially popular and Chef Joseph’s rum flamed ribs are divine. Down by the water is Stix, the resort’s oceanside restaurant that features a variety of small plates perfect for a snack on the beach. An assortment of tropical drinks and Stix’s specialty—rosé wines—are also available. 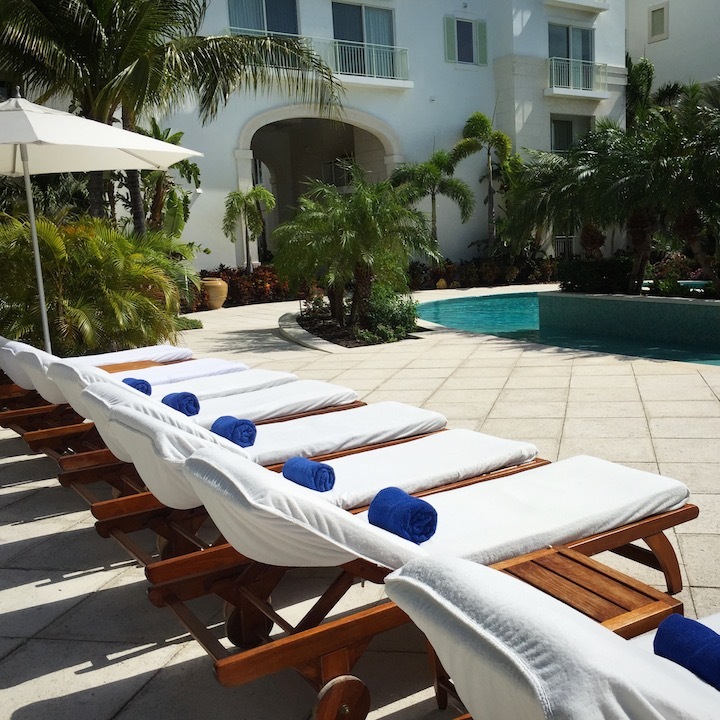 There is no shortage of bliss to be found at the West Bay Club–from the beautiful pool and lushly landscaped patio at the heart of the resort, to the comfortable lounges lining the sand, and s’mores on the beach at sundown. Families will have no trouble disconnecting from the hustles of home. For those seeking a bit of action, the watersports hut on the beach has paddle boards and kayaks along with plenty of snorkeling gear at the ready. An easy walk along Grace Bay in either direction will take you to two fantastic coral reefs just a short swim from shore, both teeming with aquatic life. 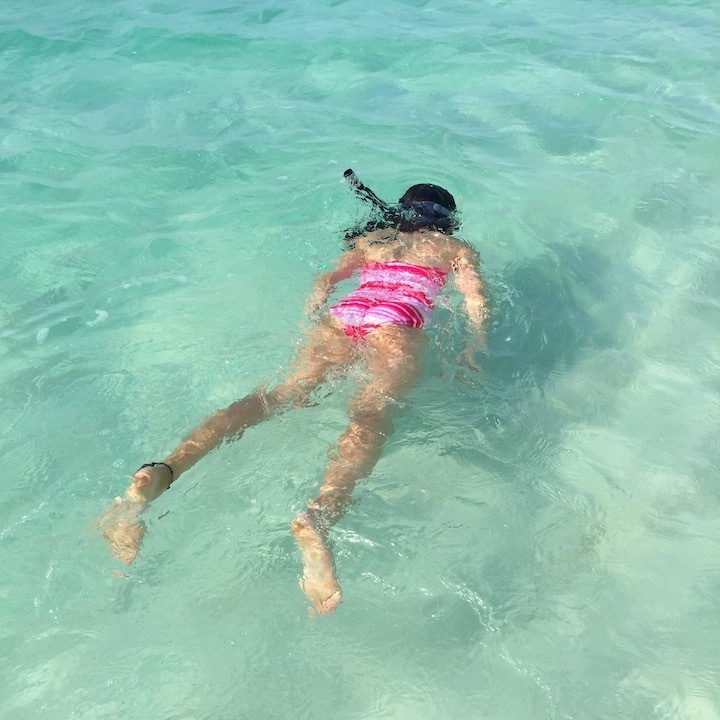 Within minutes of arriving at the beach, my daughter had donned snorkel, mask, and fins and spotted a giant starfish nestled beneath the crystalline water. Taking its cues from the Grace Bay Club just a few miles down the beach, West Bay Club is building its own Kid’s Town programming for younger guests. Working in partnership with SURFside Ocean Academy, the resort offers a fabulous lineup of on and off-site recreation for kids of all ages ranging from clubhouse and playground for the little ones all the way to the Teen X-Treme program. 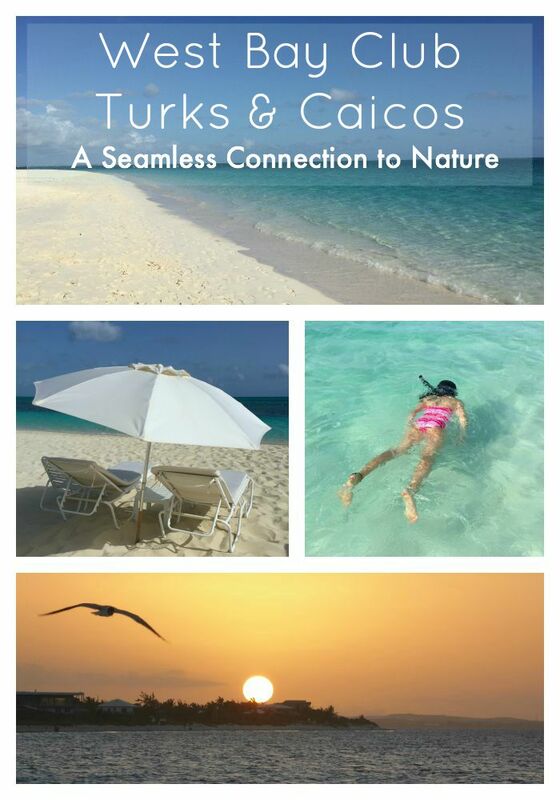 SURFside’s director, Morgan Luker, is a Canadian expat who has spent most of her life on Turks and Caicos. We had the good fortune to spend a couple of days with Morgan and her partner Greg Doolittle, who is SURFside’s watersports instructor. 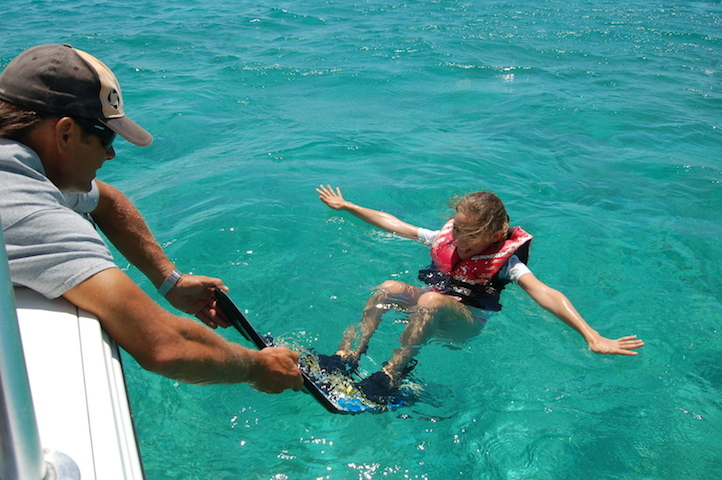 From guided snorkels to waterskiing, a sailing lesson, and a tour of the island by boat, we had a ball experiencing many of the Kid’s Town offerings. Back up at the resort there is a well-stocked fitness room just off the pool deck—I borrowed a mat one morning for some yoga on my balcony—as well as a small, but peaceful spa where I enjoyed a relaxing massage. The resort has plans to expand the spa in the coming months. Finally, though I pride myself on being unplugged as much as possible, I must admit that I enjoyed West Bay Club’s fantastic wi-fi. It was truly the best I’ve ever experienced at a hotel, reaching even to the beach and making it very easy to share images thus giving me the opportunity to rub my surroundings in to friends and family back at home. West Bay Club is the ultimate antidote to the sprawling all-inclusives that fill the Caribbean. 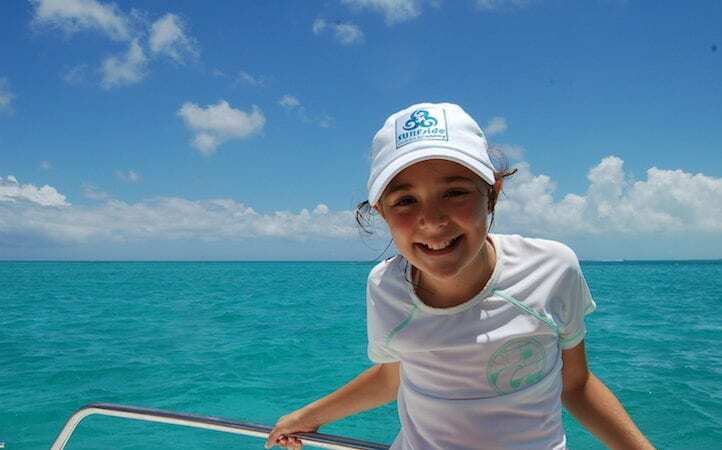 Drawing from the quiet luxury and gracious hospitality that is the signature of the Grace Bay properties, this newest member of the family definitely won our hearts and we hope to return soon.